Quite a crowd of them! We are all entitled to a paddle in the pity pool. It only becomes a problem when the paddle becomes a wallow. I often see both in the same day, I always tell them to make a appointment. Better self-confidence. She's more fun than self-pity! So you're playing goose, goose, goose, goose, SEA GULL??? That sounds pretty selfless to me. Good morning, Cloudia! I love the quote, great advice too. Cute shots of the geese! Have a happy day! Love the shots - and those quotes, Cloudia! Perfect for a postcard and greeting card! Love the geese in these shots. 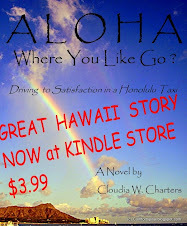 Aloha Cloudia, love your quotes and what captures! Bravo.